Family Fold is a project by Paul Andrews (formally chief songwriter / singer in Lazy Susan). He's a classic pop singer songwriter based in Sydney. "I remember Sunday Nights, staring into Molly Meldrum's Eyes". A reflection of that feeling you would get tuning into one of the most influential shows of the 70's, Countdown. Family Fold is Sydney based singer songwriter Paul Andrews. Formally the creative force behind Lazy Susan. Paul is a classic songwriter in the true sense of the word. Crying In The Car Wash is the first single from Family Fold's forthcoming second album 'Ashfield Skyline' which is due for an August 2018 release. Produced in Nashville by Brad Jones (Josh Rouse, Steve Earle), it's a beautiful but sad acoustic song that builds to lush strings. ‘Torchlight’ is a powerful accompaniment to the true story told in the Australian movie ‘Don’t Tell’. The story of a young woman who fought back after enduring sexual abuse at a prestigious private school. A poignant story about finding the courage to stand up, speak out and fight against injustice. Sean Sennett is a Brisbane based singer songwriter who has worked on many different projects. Roz Pappalardo is best known as one half of acclaimed duo Women In Docs. ‘On Christmas Day’ is the first single from a new album, I Left My Heart In Highgate Hill curated by Brisbane singer songwriter Sean Sennett. The work features Queensland based women set for release in 2017. This song features Roz Papparlardo on lead vocals and Sean on backing vocals. Paul Kelly is about to release his 21st studio album. ‘Seven Sonnets and A Song’ features Paul singing lead vocals on 6 Shakespeare sonnets and a song from Twelfth Night. 'Sonnet 18' is one of the 6 sonnets Paul Kelly has put to music from the collected works of Williams Shakespeare. It features on Paul Kelly's forthcoming album 'Seven Sonnets and A Song' to be released on April 23, the 400th anniversary of Shakespeare's death. Melbourne singer songwriter Missy Higgins has been releasing and performing music for 15 years. Honesty is at the heart of Missy's songs along with a deep connection to Australia. 'Oh Canada' was written by Missy after seeing the photo of little Alan Kurdi being carried out of the water in Turkey. His family had been seeking asylum from Syria but their boat ran into trouble on the journey. Canada was their intended ultimate destination. Cold Chisel are one of Australia's most revered rock bands. Forming in 1973, their music has woven it's way through our culture for over 40 years. 'Long Dark Road' is a brooding track with a dark subject matter. The track builds in intensity as it rolls along and features a blistering guitar solo from Ian Moss. Written by Jimmy Barnes and Ben Rodgers, the track was a feature of their live set last year. Sydney based Paul Andrews, formally of Lazy Susan is back with new band Family Fold. Sarah Humphreys and Maia Jelavic join him and create classic guitar pop gems. Urgent and direct, 'Get A Grip Upon Yourself' is guitar pop rocker. With a great vocal delivery from writer and frontman Paul Andrews, it's the second official offering from his band Family Fold. Szymon, a multi instrumentalist, vocalist from Newcastle. Using free audio production software and makeshift gear he created an album built on layers of guitar, bass, woodwind, drums, synth and samples. 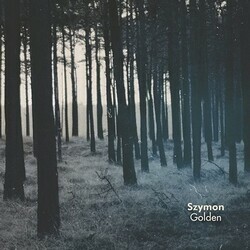 Following on from his stirring debut, ‘Katyushya’, comes ‘Golden’, the second installment from Szymon. Feature on his upcoming album Tigersapp, the track effortlessly bridges the divide between acoustic melody and electronic layering. A step back from the intensity of his first offering, 'Golden' is atmospheric electro-folk at its haunting, best. Paul Kelly has an enduring place in the Australian psyche.It seems fitting for the new chapter in this influential career to include collaborations with the next generation of Australian musicians. Written by Paul Kelly and featuring Clairy Browne on vocals. Paul had written Keep On Coming Back For More about 7 years ago and sent the track for Clairy for this session. With no direction for Paul, Clairy made it her own. A "Lay Down The Law" vocal. ‘Katyusha’ is the debut single by Newcastle artist Szymon Borzestowski. Taken from his forthcoming album ‘Tigersapp’ released in 2015. Szymon performed, recorded and produced the album entirely in his bedroom.